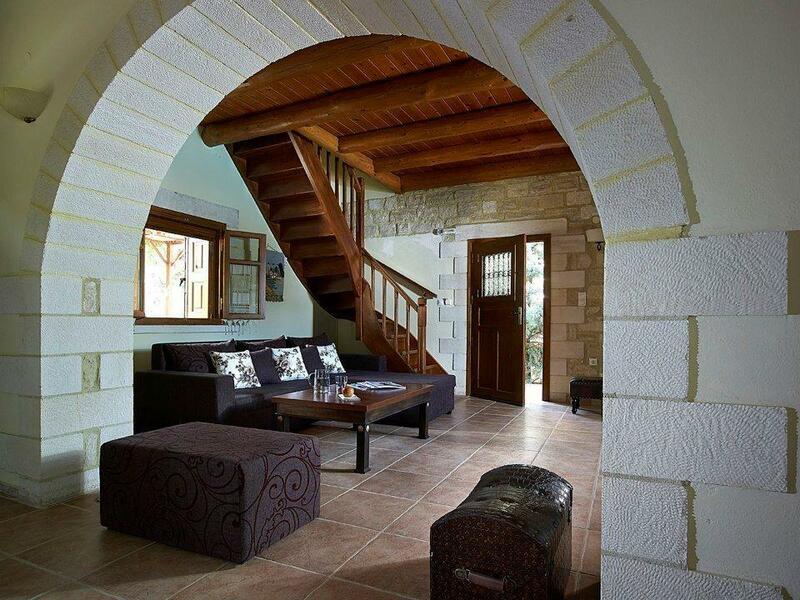 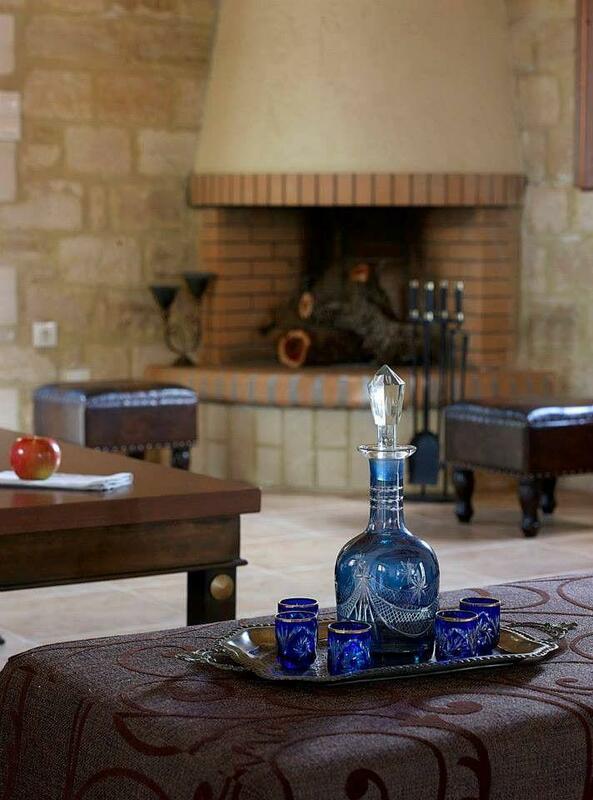 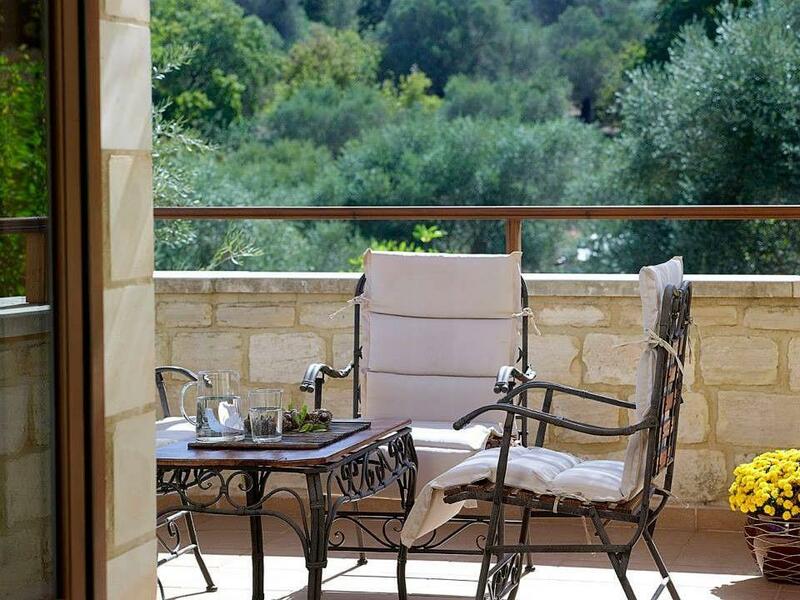 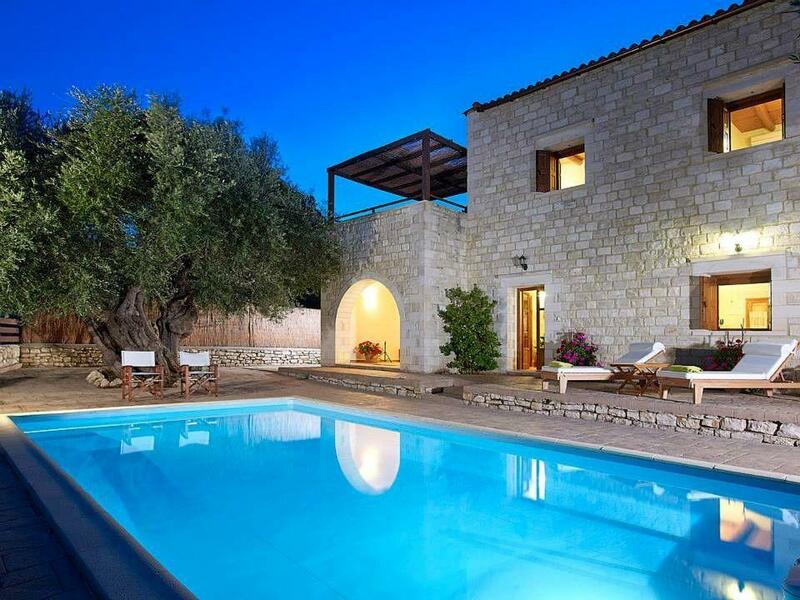 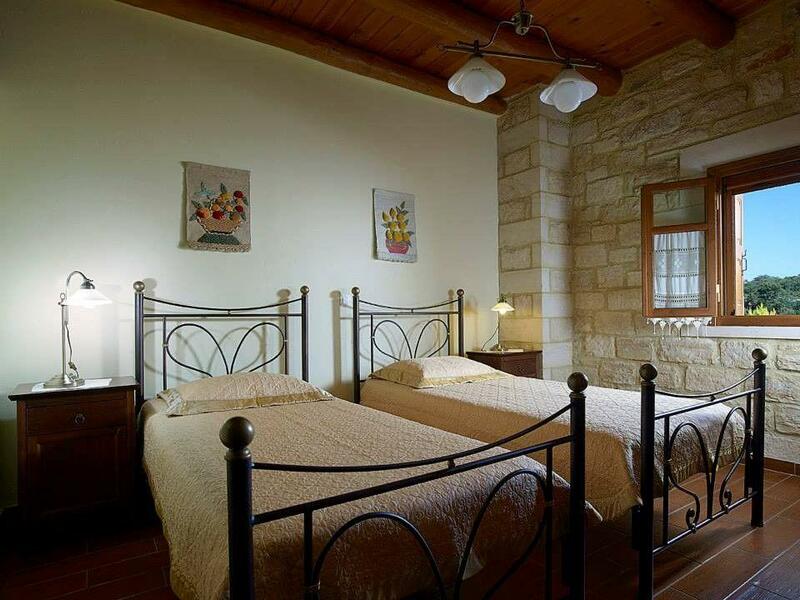 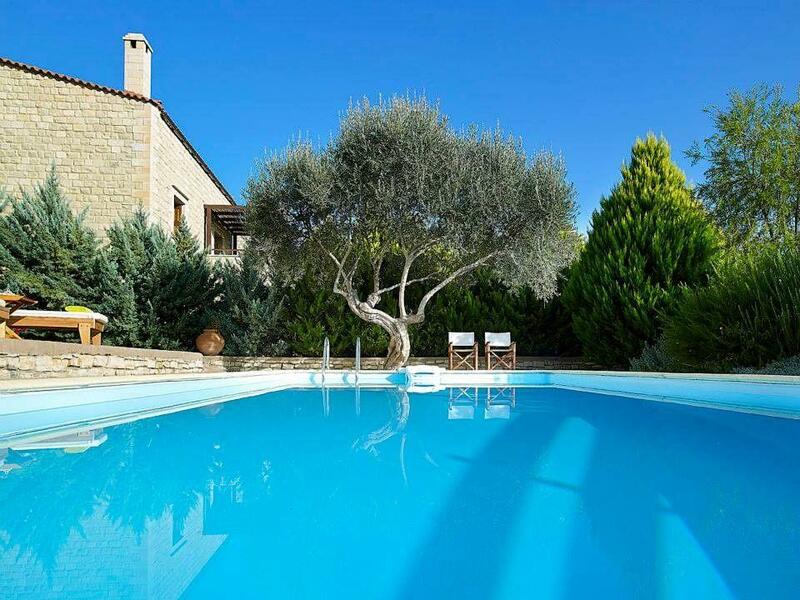 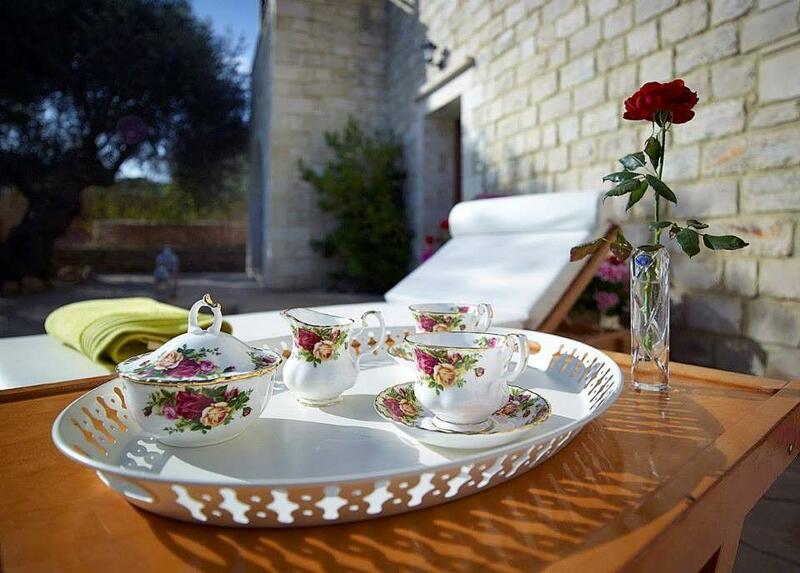 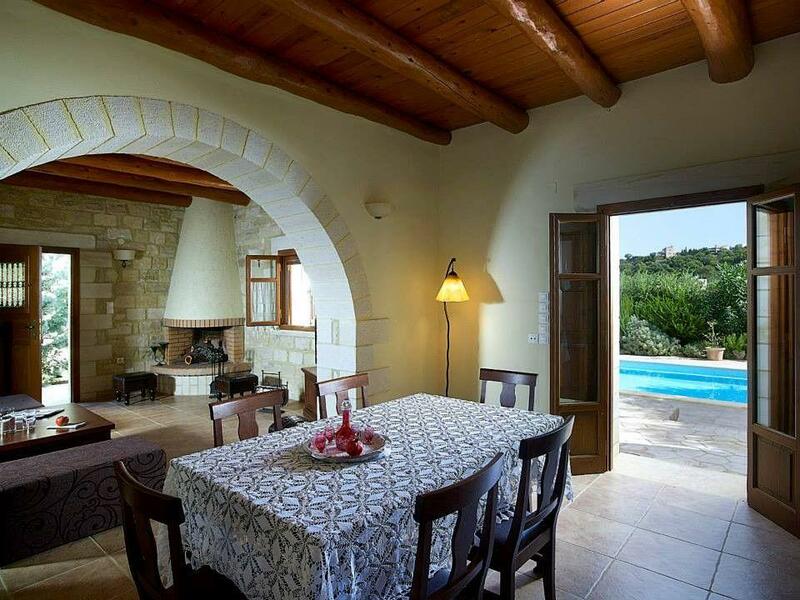 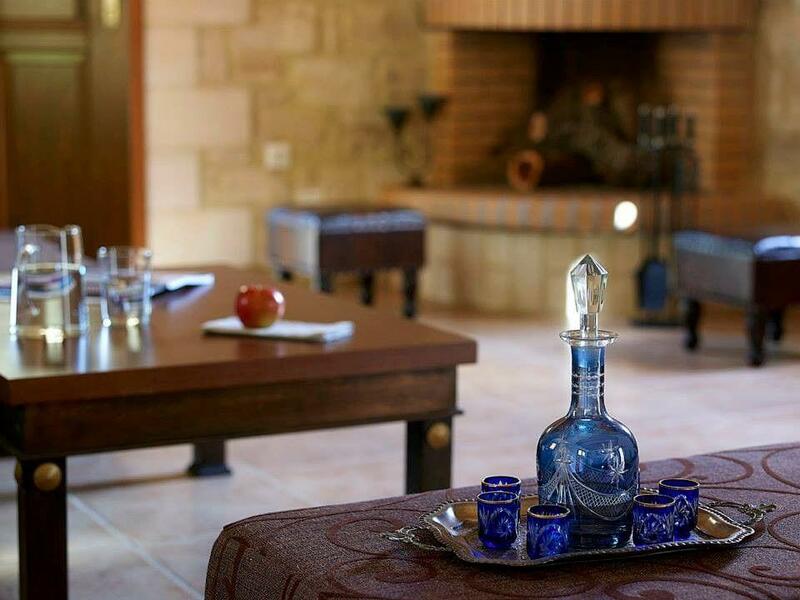 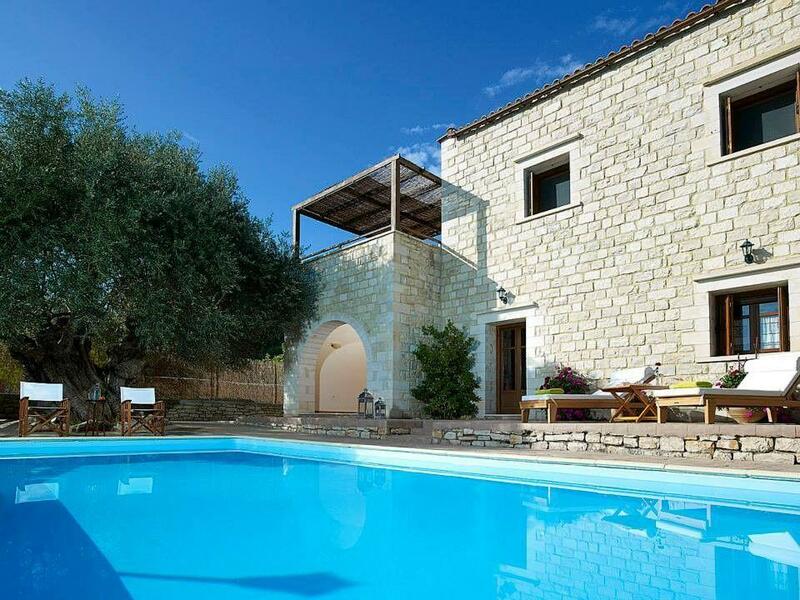 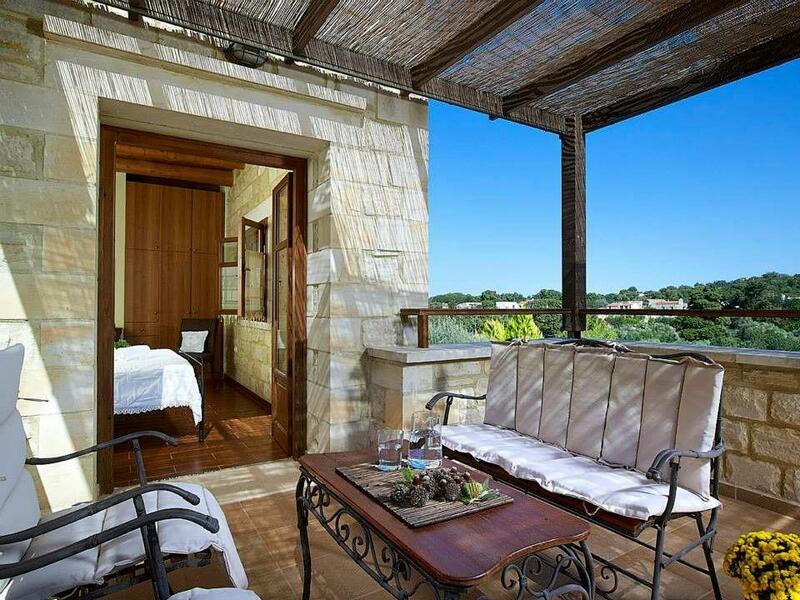 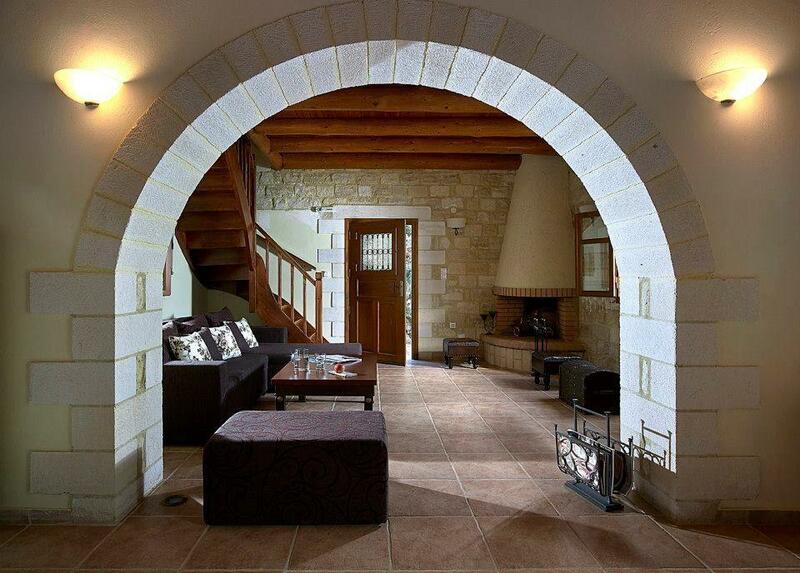 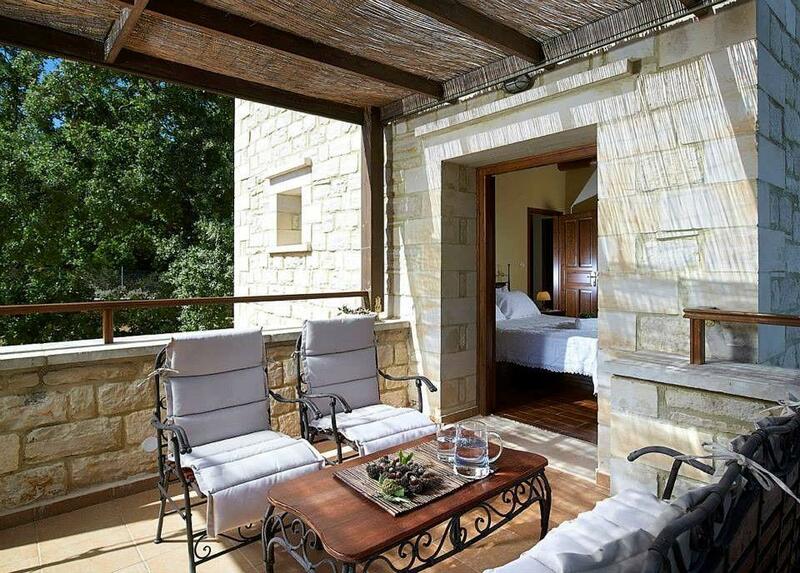 Traditional stone villa with private pool jacuzzi in Crete. 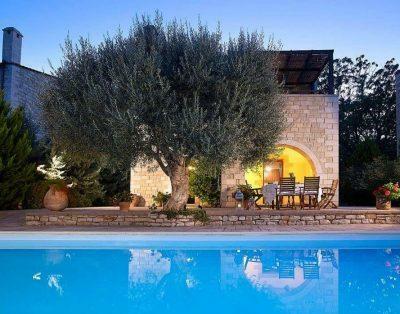 The villa is one of three villas in a peaceful environment of an olive grove in the middle of green hills covered with cypresses and oaks. 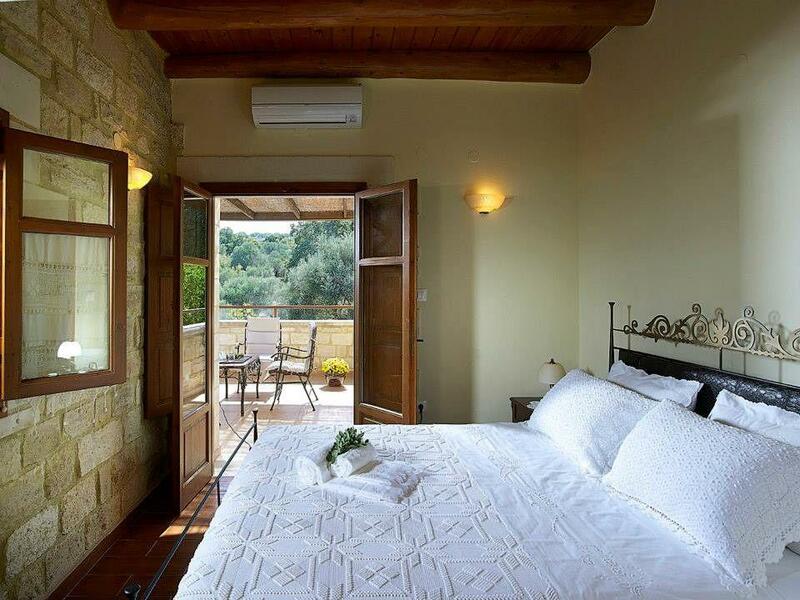 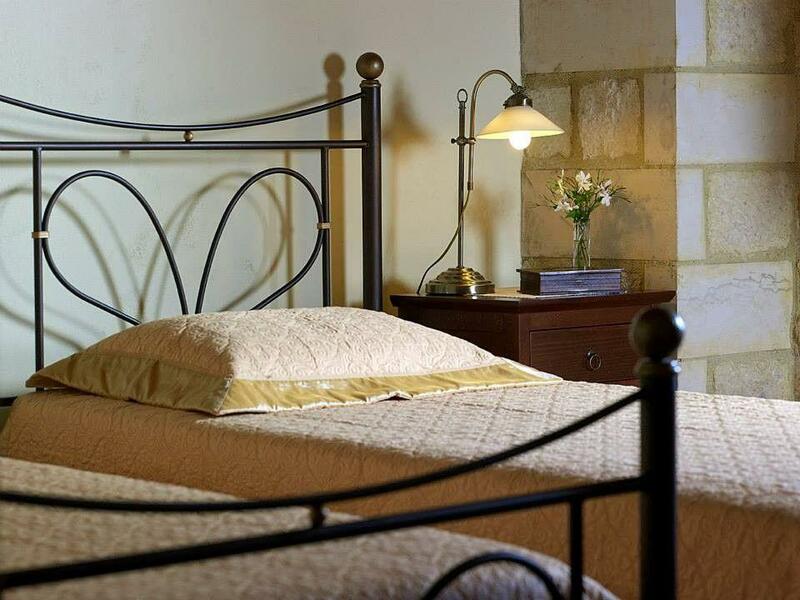 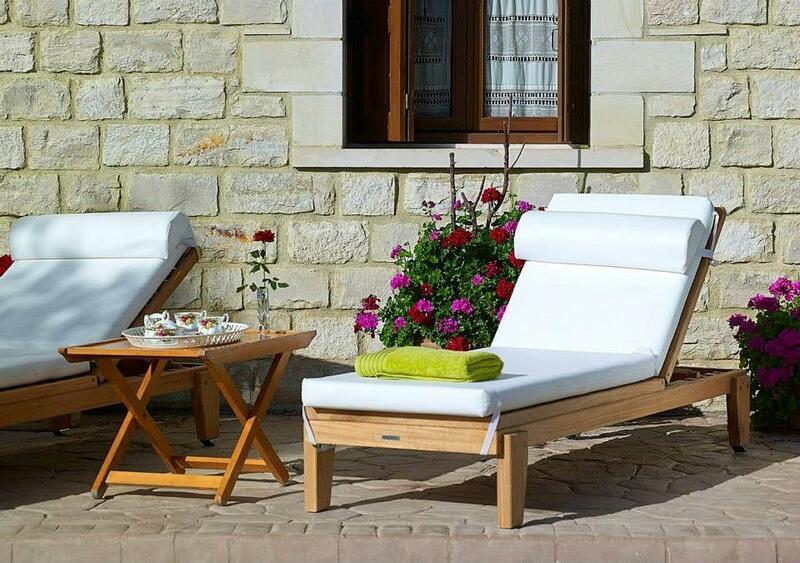 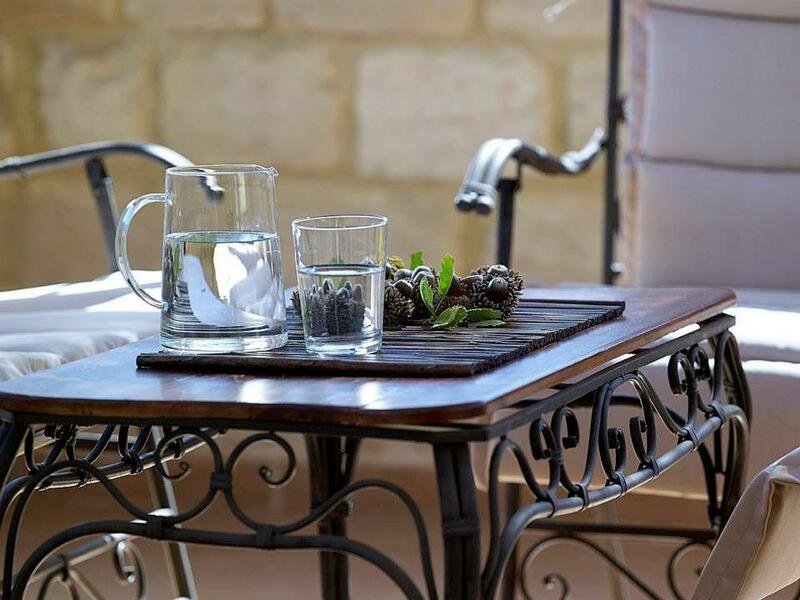 Ideal for relaxation and tranquillity located next to the picturesque Prines village and just 10 minutes drive from the vibrant City of Rethymno and its wonderful sandy beaches. 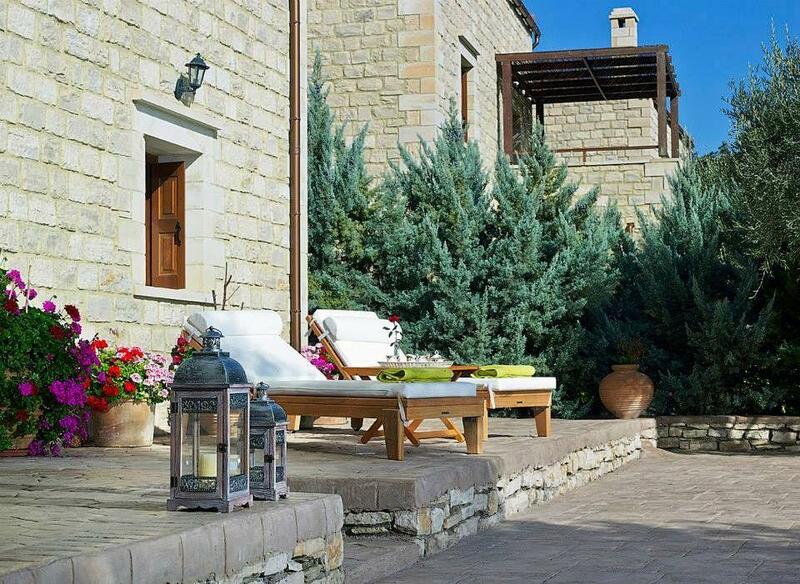 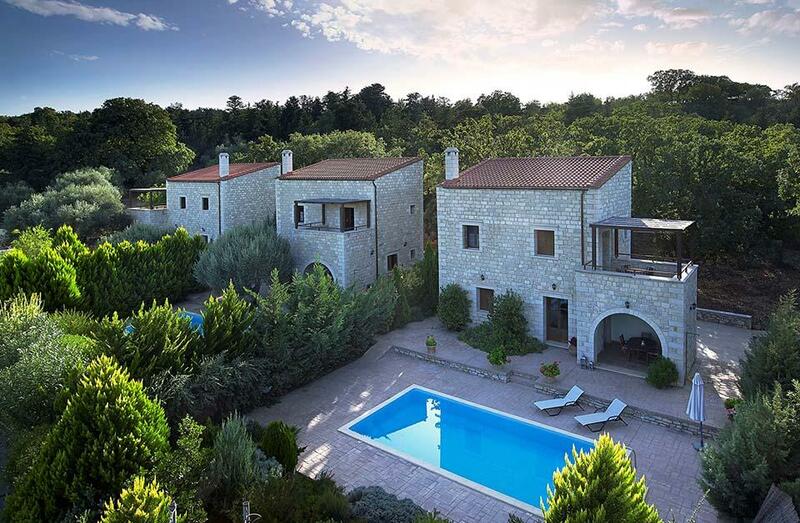 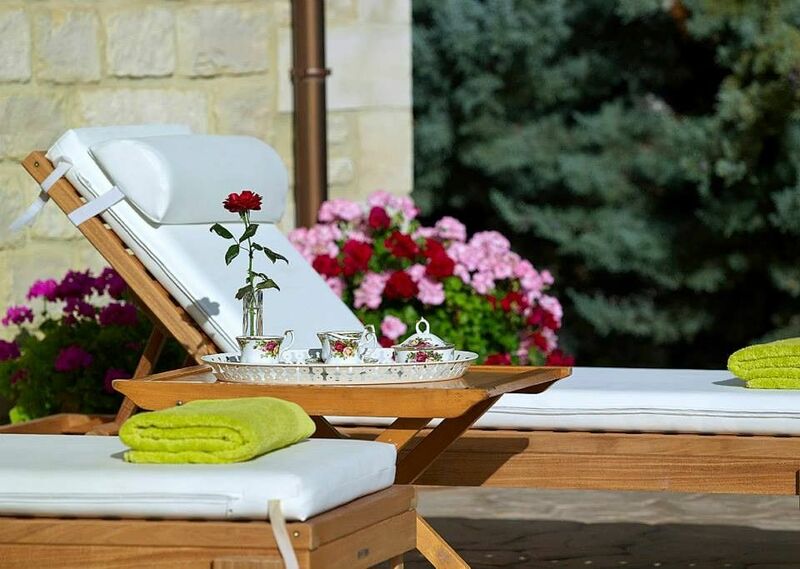 Each villa is made of carefully selected local stone and wood in a unique design and decoration of traditional cretan architecture that blends in harmony with the surrounding landscape. 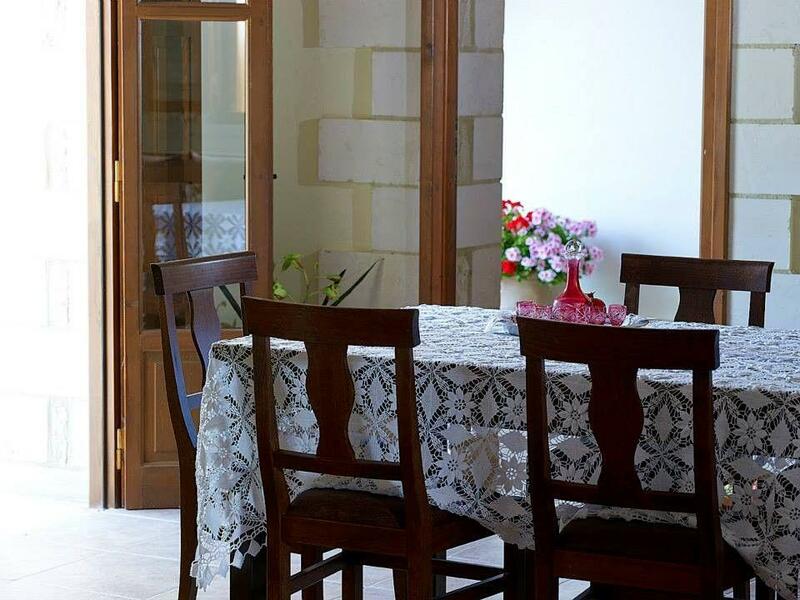 Prices for two guests. 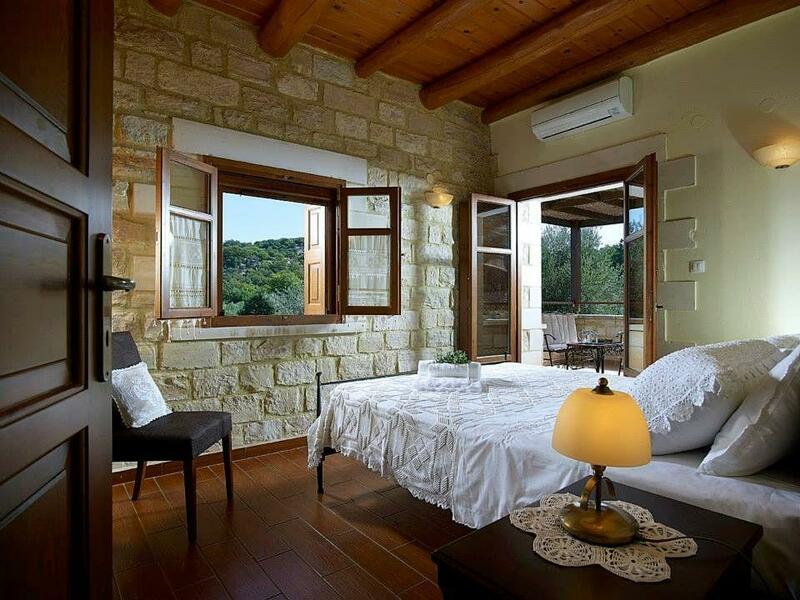 Please check extra fees for additional guests.